Our factories also has been equipped with advanced processing equipment. We has grown into a professional and experienced supplier team. Our factories also has been equipped with advanced processing equipment. 11 YRS Dongguan Chuang Da Metal Products Co., Ltd. Alloy material purchasing Brass material purchasing 2 . Alloy raw production Brass raw production 6 . All prong type snap-buttons are suitable used for auto snap-button inserting machine. suggest to settle the shipment by sea for mass production. In this case, the coconut shells are collected and then clean to make sure no flesh remain on the inner surface. The shells are then separated into different sizes and then the shells are die cut into blanks. The resulting buttons are polished and wash for the last time, and then the buttons are put into a dry room. we have several major logistics for international shipments, dhl, ups, fedex, and usps. for urgent orders, we offer expedited mold making. customer service skull shape rivets company certificate our customer factory wholesale skull shape different types metal buttons rivets for shoes factory wholesale skull shape different types metal buttons rivets for shoes welcome to one of most professional button manufacturers in china. end use belt, shirt, hat, backpack, suit, woolen overcoat, shoes, garment accessories,etc. and we also have several promotions every year. c:Samples will take 10 business days once artwork is approved. The material we use are zinc alloy , iron ,brass ,plastic ,resin. whatever material and design you want can be done. we specialize in snap buttons, jeans button, prong snap button, shank button, eyelet, rivet buckle button, alloy button etc. like snap button/ jean button/ rivet/ metal tag/ metal buckle/ eyelet/ sew button/ cord stopper / metal clip and so on. now consists of yiusing metal button factory, shanghai yiusing apparel accessories co., ltd. and yiusing (hong kong) apparel accessories mfg. what&rsquo;s more, we have complete pre-sales, sales and after-sales service systems and strong development ability and can produce according to customers&rsquo; requirements. 8 YRS Dongguan Xinhemao Button Co., Ltd.
our garment accessories include jeans buttons, snap buttons , zippers , belt buckles , loops and buttons molds. our products are widely used in children's garment , knitted garment , denim garment ,shoes , hats, bags and other fields. 10 YRS Wenzhou Verda Industrial & Trading Co., Ltd.
our button sales all over the world(europe, africa,middle east and so on) because of the high quality and skillful techniques we offer. 5 YRS Guangzhou City YiZiXiu Trade Co., Ltd. Working Partnership Company Overview Famous provincial clothing accessory enterprise. 3. Q: Can I get samples first of my own design, and then start the order9 A: Yes, of course. We charge you mould fees and will send real samples for your checking with shipping fee on your side. 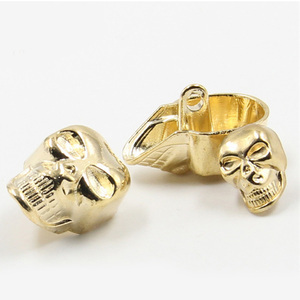 Alibaba.com offers 989 skull buttons products. About 18% of these are buttons, 8% are bracelets & bangles, and 1% are other game accessories. A wide variety of skull buttons options are available to you, such as eco-friendly, washable, and dry cleaning. You can also choose from metal, plastic, and resin. As well as from zinc alloy, stainless steel, and brass. And whether skull buttons is plating, covered, or pearl. 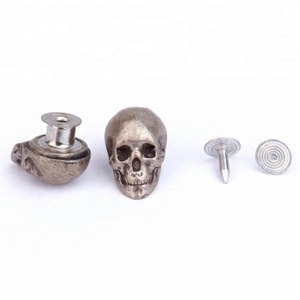 There are 989 skull buttons suppliers, mainly located in Asia. 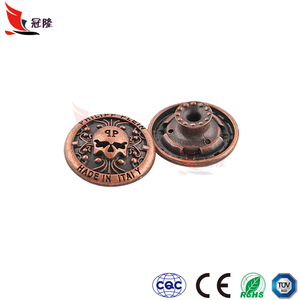 The top supplying country is China (Mainland), which supply 100% of skull buttons respectively. 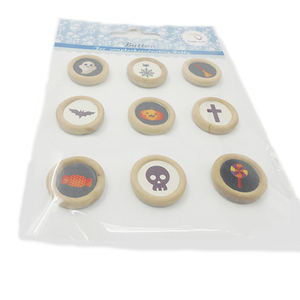 Skull buttons products are most popular in North America, Western Europe, and Domestic Market. You can ensure product safety by selecting from certified suppliers, including 111 with ISO9001, 76 with Other, and 22 with BSCI certification.